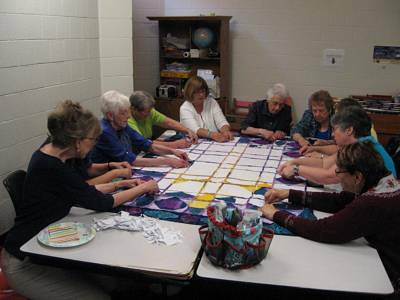 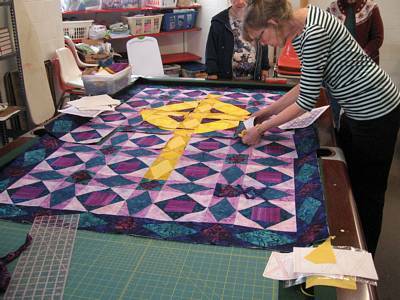 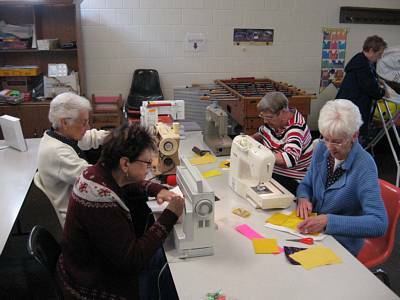 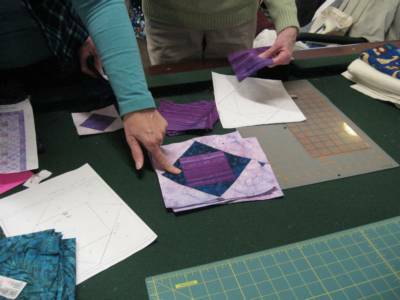 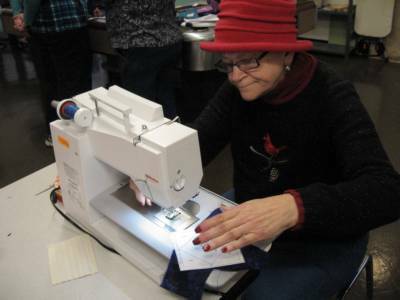 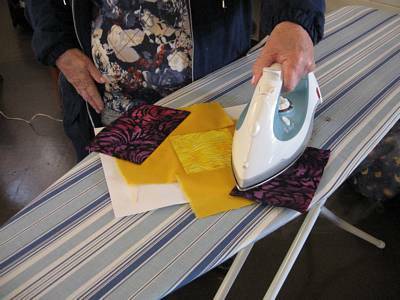 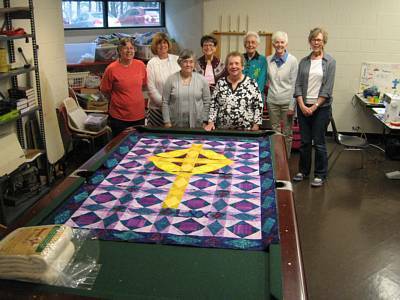 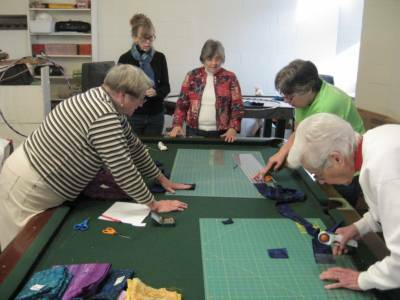 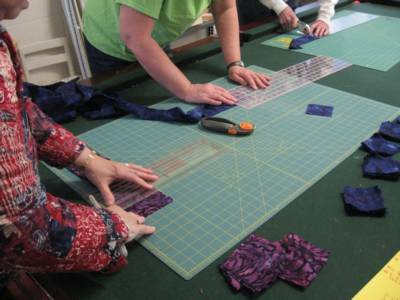 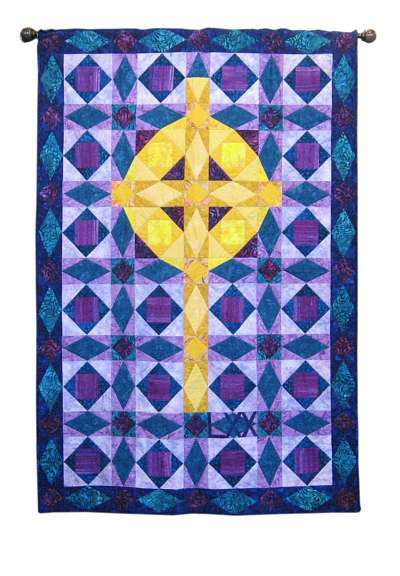 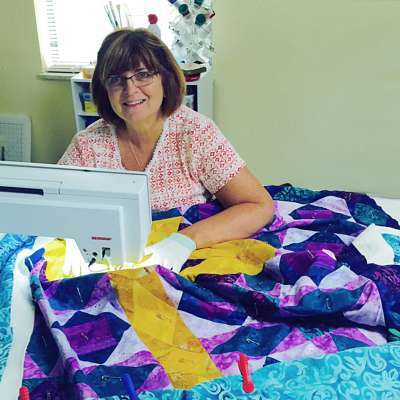 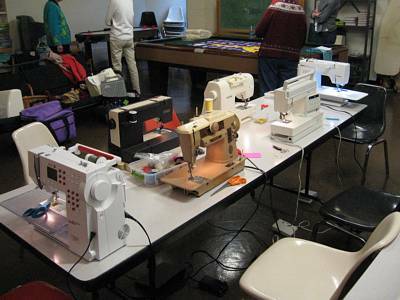 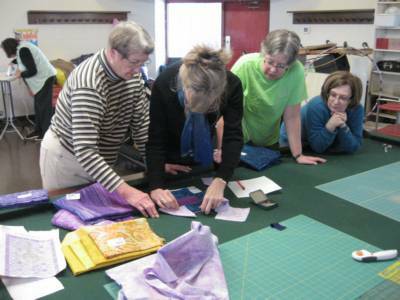 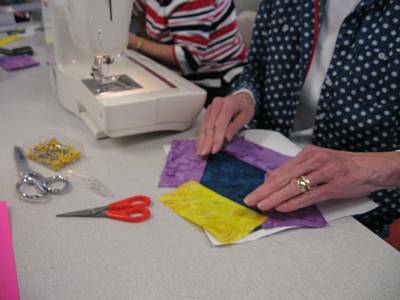 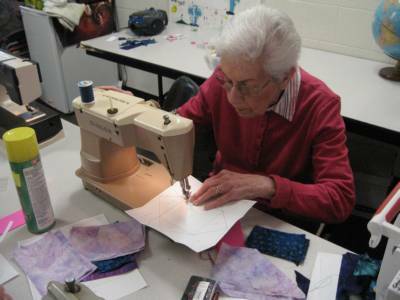 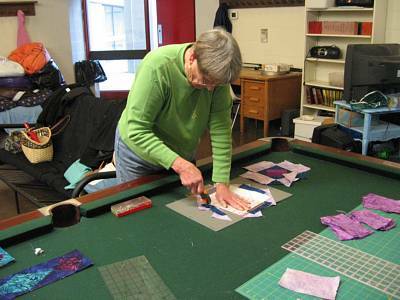 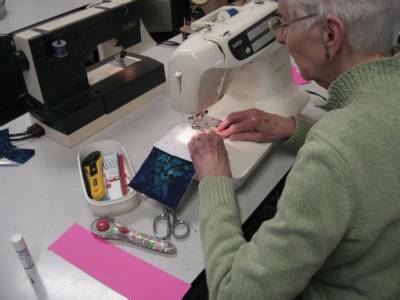 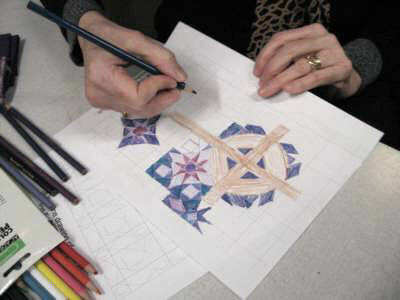 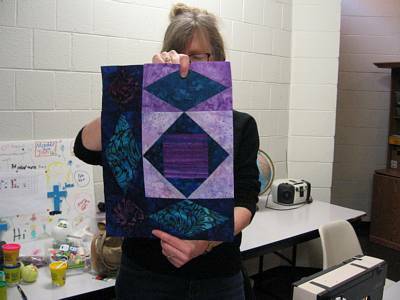 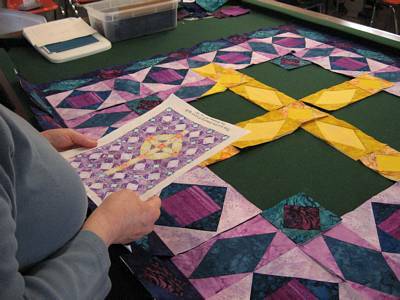 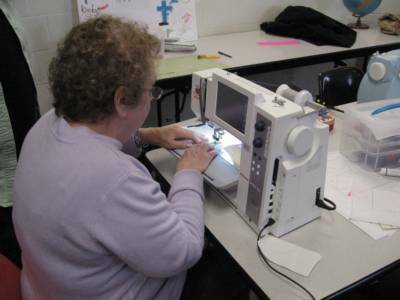 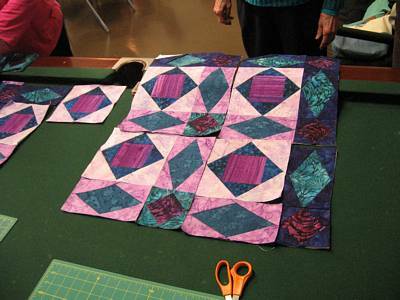 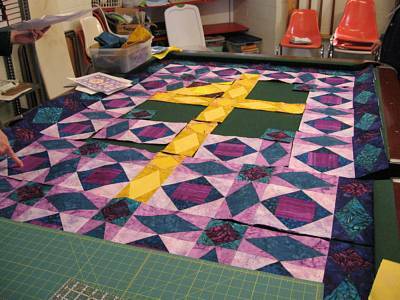 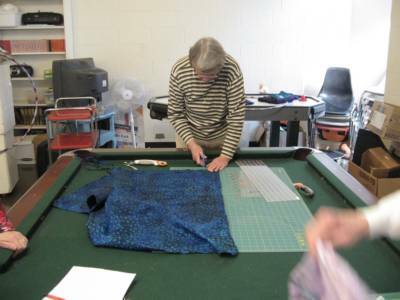 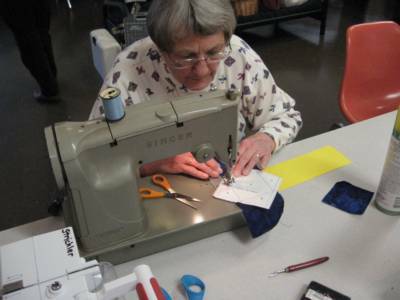 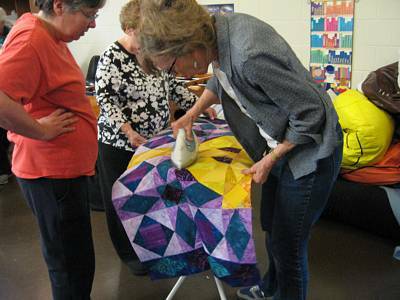 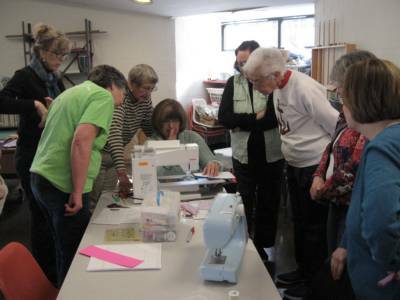 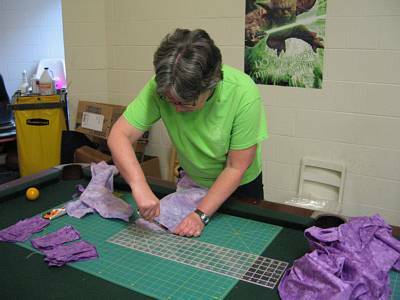 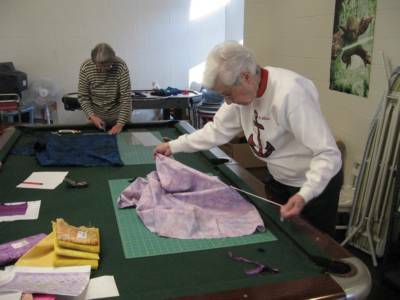 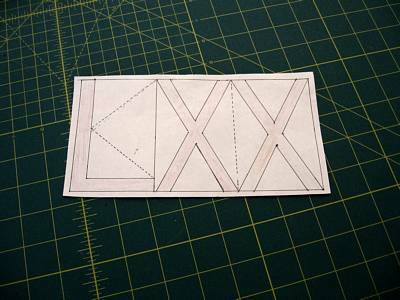 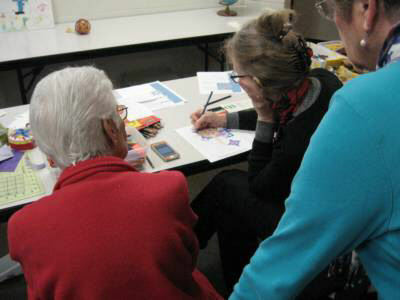 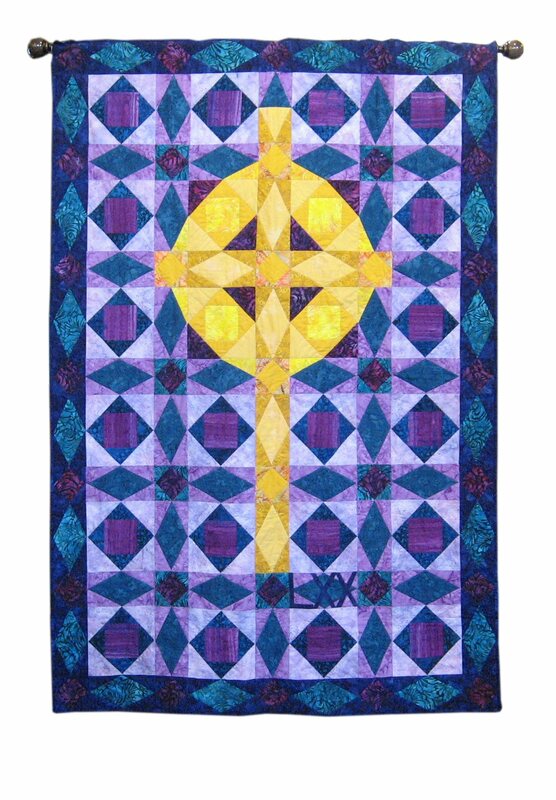 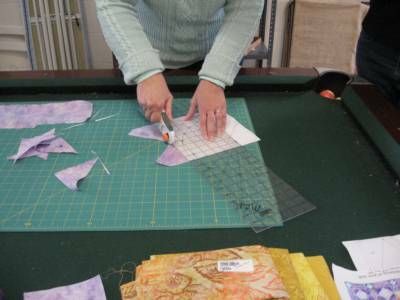 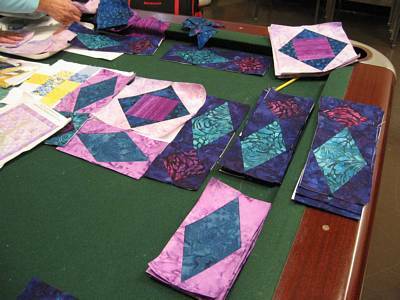 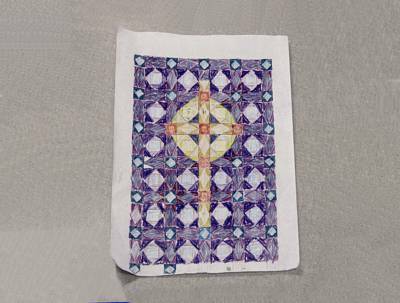 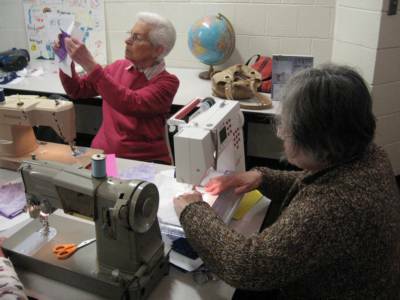 This page documents the work that the "Quilting Ladies" did to make a special banner for the church's seventieth anniversary, June, 2015. 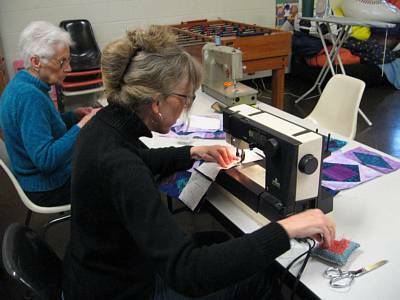 Teacher Mimi: "OK everyone, we have a learning moment"
Smiles from the workers! 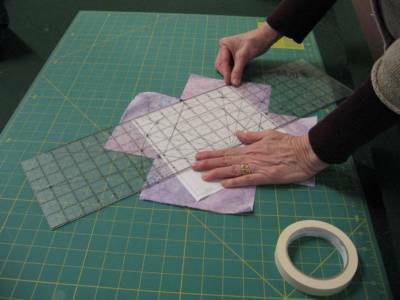 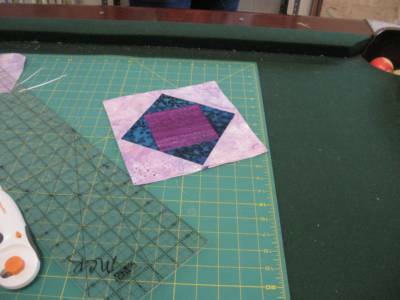 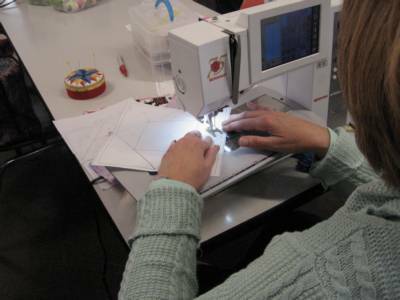 Paper backing to be removed, quilting remains. 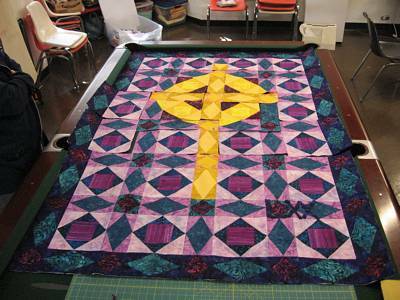 As it now appears in the rear of the sanctuary. 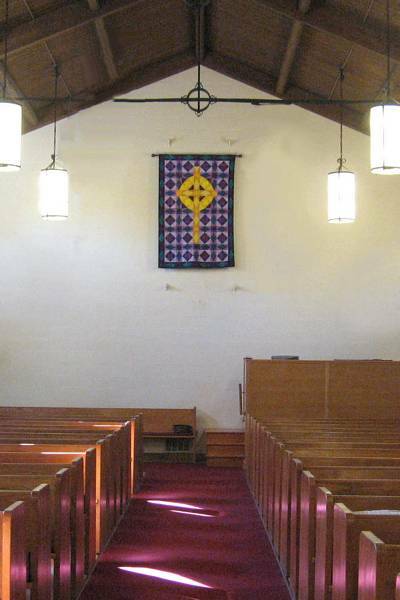 Other banners may be placed below this one.